For busy vacationers who want to do it all, it can be hard to pack in tours, museums, landmarks, restaurants, nightlife, and shopping.Sometimes you have to give one up. But why not cut some corners by combining your museums and hotels? 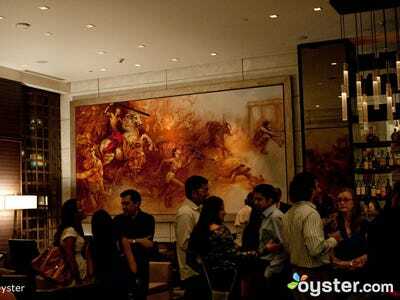 Some hotels have art worthy of museums, and some museums are works of art themselves. 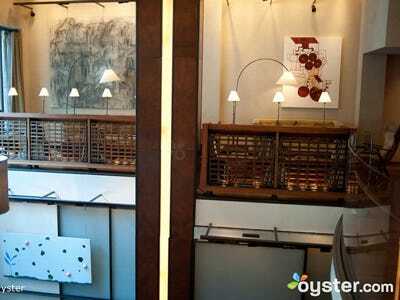 Here are 20 hotels around the world that double as museums. 21c Museum Hotel, Louisville, Ky. The 21c hotel is named for the 21st century, despite the fact that it consists of former 19th century tobacco and bourbon warehouses. 21c is home to a $10 million dollar collection of contemporary art owned which includes works by Brazilian artist Vik Muniz, who is known for creating multimedia pieces from materials like chocolate syrup or garbage and taking pictures of them. When guests check in, they receive preloaded iPods with a narrated tour of the collection. The Bellagio, Las Vegas, Nev. 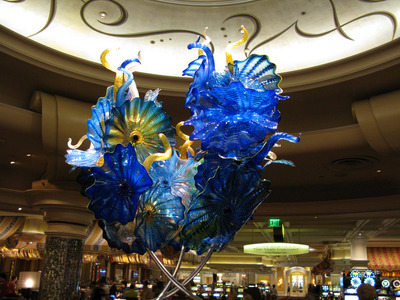 The Bellagio routinely features works by various artists; some of whose pieces that have lived in the hotel include Roy Lichtenstein, Edouard Monet, Andy Warhol, and Frank Stella. Warhol's work is on display again starting February 8 and admission to the gallery is very reasonable: $13 for Nevada residents, $16 for non-residents, $11 for students, teachers, and members of the military. 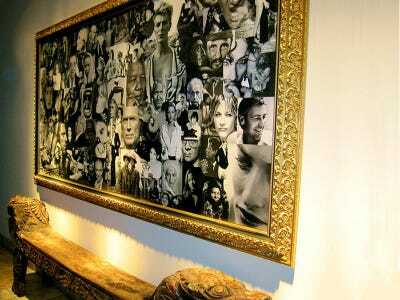 The Bellagio also houses the restaurant Picasso, which has its own original Picasso paintings. Chambers Hotel, New York, N.Y. 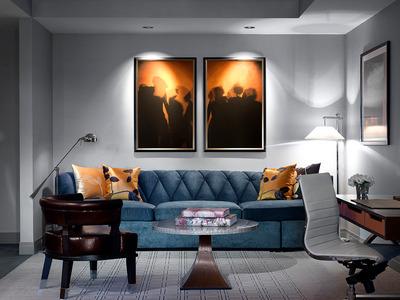 The centrally located midtown Chambers Hotel is practically a work of art itself. Over 500 works of contemporary art span nearly the entire property, including the hallways which are decked in elaborate murals. The hotel also features sculptural installations and other works of art in the halls by both well-known and up-and-coming artists. The Cosmopolitan, Las Vegas, Nev. The P3 Studio at the Cosmopolitan is an artist-in-residence program that hosts both international and local artists in the studio where they can create interactive works of art, and have guests work to replicate famous works. 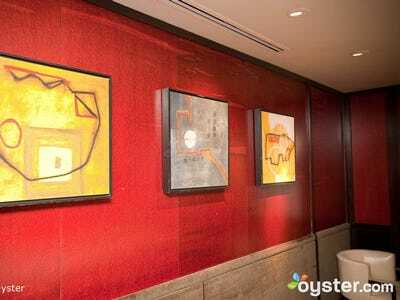 The hotel also commissions works of art from some notable artists like TJ Wilcox, Leo Villareal, and Yoko Ono. The Dolder Grand dates back to 1899 and underwent four years of renovations before reopening in 2008, now integrating the old and the modern together. 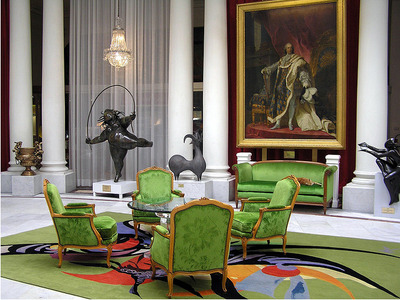 The art at the Dolder Grand includes work by Sol LeWitt, Salvador Dalí, and Tamara de Lempicka. 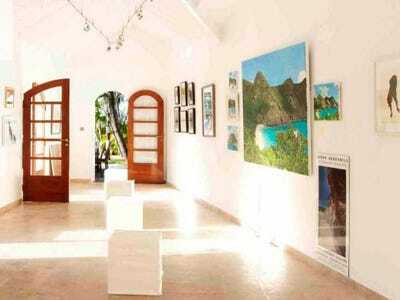 Eden Rock in St. Barths has a full art gallery on its beachside premises from mid-October to the end of August each year. In past exhibits, the hotel has collaborated with the Flowers Gallery, Gagosian Gallery, Tony Shafrazi Gallery and Mary Boone Gallery to show the works of artists like Richard Prince, Will Cotton, and Donald Baechler. Eden Rock also features works from up-and-coming artists studying at The New York Academy of Art, and has an Artist in Residence who gives art lessons to guests. 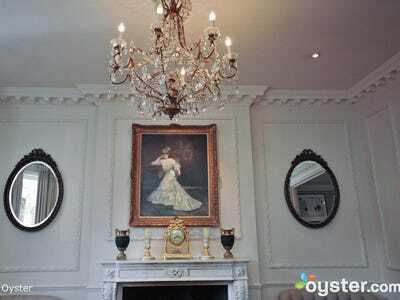 The Egerton House Hotel, London, U.K. 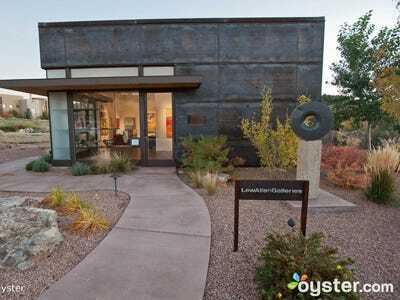 The Encantado has an on-site art gallery, one of Santa Fe's oldest and largest. Guests should expect to see Modernist-style pieces from the 20th century making up the majority of the artwork on display. There are also many pieces from the local LewAllen Galleries in the lobby and halls, especially sculptures. The resort, with its southwestern flair, serves as a work of contemporary architecture itself. The Gladstone is a small hotel in the Queen Street West District of Toronto with a lot of artistic charm. 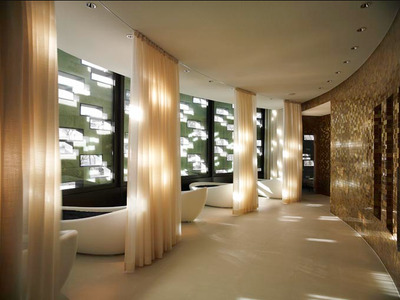 Each room at the Gladstone was designed by a different artist in different themes. The hotel has its own local expert who provides personalised two-hour city art tours guests. 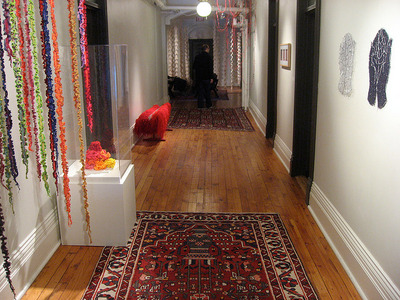 The tours vary depending on the season and exhibits, but can run through some of the 300 galleries, boutiques, and studios of Toronto's nearby unofficial Art and Design District. The Gramercy Park Hotel, New York, N.Y. Entrepreneur and real estate developer Ian Schrager had painter and filmmaker Julian Schnabel design the public spaces of the Gramercy Park Hotel in which he included custom designed bronze tables, chairs, and a rug. 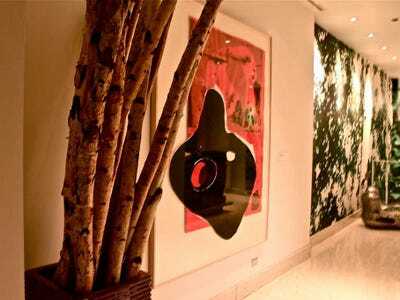 The hotel's Rose and Jade bars also serve as galleries for paintings by artists such as Andy Warhol, Jean-Michel Basquiat, and Cy Twombly. 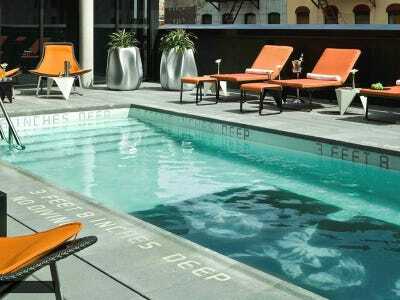 Hotel Palomar, San Francisco, Calif.
Hotel Zaza isn't like other hotels in Uptown Dallas. 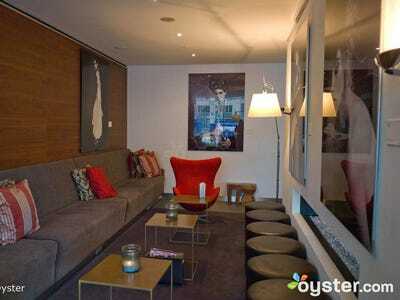 It has become a hip hangout for those who want to dine at its gourmet restaurant, lounge by the poolside bar, and visit the on-site Stay Zaza Art House and Social Gallery. 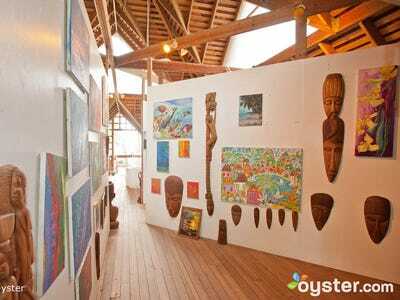 The Stay Zaza Art House hosts a variety of events and exhibits, from fashion installations and runway shows to photography, painting, sculpture, and mixed-media works. The rooms themselves inside the hotel are an eclectic mix of whimsical, contemporary, seductive, and funky furniture and decor. The James Hotel, Chicago, Ill. The James features commissioned art installations from a mix of local and international artists, both well-known and up-and-coming, including Joel Ross, Demarcus Purham, Monique Meloche, Nienke Sybrandy, Andrea Mantin, and Kristina Estell. The Lobby Gallery displays a rotating collection of contemporary art pieces and Art from the Museum of Contemporary Art, while David Burke's Primehouse restaurant showcases works by the painter Todd White. The Restaurant At Eight is the restaurant housed inside The Ring hotel, and features two pop art-style portraits of Marilyn Monroe by the artist Steve Kaufman. Kaufman became a big name himself, but began his career as one of Andy Warhol's assistants. Rodwell House is a 1930s-era house hotel built by gold-mining billionaire JB Taylor just half an hour outside of Cape Town. 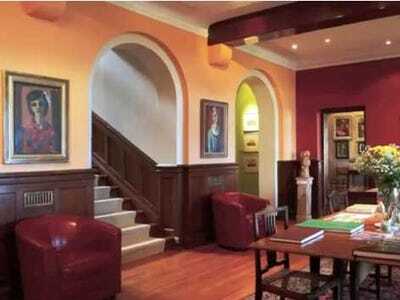 The hotel displays art from financier and owner Robin von Holdt, as well as some well-known South African artists like Jacob Hendrik Pierneef and George Pemba, who painted landscapes and Apartheid-themed works, respectively. Other 20th-century works from emerging artists also sit throughout the hotel. The St. Regis Hotel, San Francisco, Calif. The entrance to the Museum of the African Diaspora is inside the hotel, which is also the neighbour to the San Francisco Museum of Modern Art. It also has a private art collection displayed throughout the hallways, lobby, bar, and hotel restaurant, making it an elegant extension of its two museum neighbours. Thompson LES, New York, N.Y.